Hopefully after your 20’s you are beyond heading to the gym purely for aesthetics and vanity. Hopefully we’ve realised that form should follow function and that looking good shouldn’t come at the cost of moving poorly. If that is so, your gym program should change. We need to move away from the Frankenstein Gym program where we have arm day, leg day, back day, chest day and 3 sets of 10 for everything. This type of program is bodybuilding 101 and most of us don’t want to be body builders. The shift to 'functional training' is a great step forward. The next step is intelligent programming. If you need a reason to go to the gym let it be this. 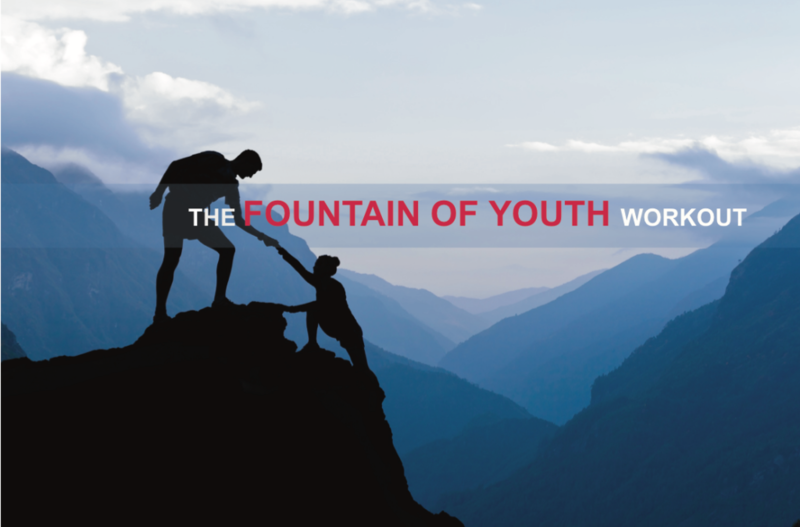 Restoring movement and strength is the fountain of youth. The ageing process in multifactorial. Diet counts, sleep counts and countless lifestyle factors play a part. However one of the biggest factors that we can control is the musculoskeletal component. We all know a 75 yr old that is still in the gym or even running marathons. We also know the 40 year old who is riddled with back pain and can’t keep up with his/her young kids. The difference is movement and strength. Throughout our lives we are in a constant tug of war with gravity. Gravity always wins but you can dictate how long you are in the fight by doing the right things. The underlying principle is this. Stretch what is tightening, strengthen what is weakening. This is an adaptation from Dr. Vladimir Janda’s work. The muscles that tighten with age are the muscles than will pull us into the foetal position. Think, Biceps, Pecs, Hip Flexors, hamstrings. These are exactly the same as the muscles that pull tight when we sit for hours on end in front of computer screens. The muscles that weaken with age are those that resist gravity and get us into an upright posture. Think, Rhomboids, deltoids, gluts, triceps, quads. We also have 6 fundamental movements. These are the Push, Pull, hinge, Squat, (anti-) Rotate, Gait (crawl, climb, walk, lunge, run). Any human movement can be broken down into a combination of these . Fundamental movements are the basics. All functional human movements can be broken down into combinations of these movements. They can be likened to building blocks for function and athleticism. It makes sense to ensure we can always do the basics no matter how old we are or even how specialised we become at any task. We also have 6 fundamental movements. These are the Push, Pull, hinge, Squat, (anti-) Rotate, Gait. So, we have a concept to stretch what is tightening, strengthen what is weakening and 6 fundamental human movements. I would also add that you focus on your weakest link. Performing a movement screen will highlight what you need to work on. This will direct you to your what you should be spending time on during your warm up or movement prep. It will also give you clues on what to do between sets during your ‘rest’ breaks. Let’s face it, most of us don’t want to spend more time than we have to in the gym. If we’re going to spend anytime in there we want the most bang for our buck. If you are in pain with any of the fundamental movements then stop and get it checked out by someone that can map out your dysfunctions and find the driver. John is 45 yrs old, a tradesman, happily married with 3 kids under 12 and surfs. He isn't overweight and wants to keep it that way. He wants to be able to go for a run, play with his kids, surf and continue working without aches or niggles. John spends much of his day picking up and leaning over tools. His current gym program is the classic 2 day split: Back and Biceps, Chest and Triceps with some leg press, leg extension and curls thrown in with some crunches. He gets a good sweat and heart rate up but he still gets back pain with surfing, feels stiff and immobile when playing on the floor with his kids and although he is fit enough to run it just doesn’t feel good. He wants to to stay fit, keep up with his kids and know that his body can handle the demands work for years on end. Knowing this information programming is easy. John needs to work on improving trunk stability and straight leg raise. I’d expect improvements in his squat and lunge following this. He wants to get a sweat on and get a work out. This could be done as a circuit or super setting work sets and correctives. We focused on Johns NEEDS, his weakest link. We gave him a solid workout that worked all his fundamental movements. We got his heart rate up as he didn’t spend anytime sitting down for a rest. After 8 weeks we would re-screen him. I’d expect him have a clear straight leg raise and adequate rotary stability. Then what? Identify the weakest link, work on the fundamental movements, stretch what is tightening between sets and strengthen what is weakening during sets. Intelligent programming goes beyond getting sweaty and sore. It can help you move better, feel better and restore your body's innate resilience. Movement & Strength - Rehab to Reload. Reload for Resilience. Erik Pobre is a Physiotherapist and places a strong emphasis on movement quality, strength and conditioning. He is passionate about human movement and seeks to enable people to move well, move often and restore their innate resilience. He is a firm believer that if people moved well they'd actually enjoy moving and move more. Add sound nutritional advice to this and many of the lifestyle related diseases wouldn't be so prevalent. Outside the Gym and Clinic, Erik enjoys spending as much time outdoors as possible. 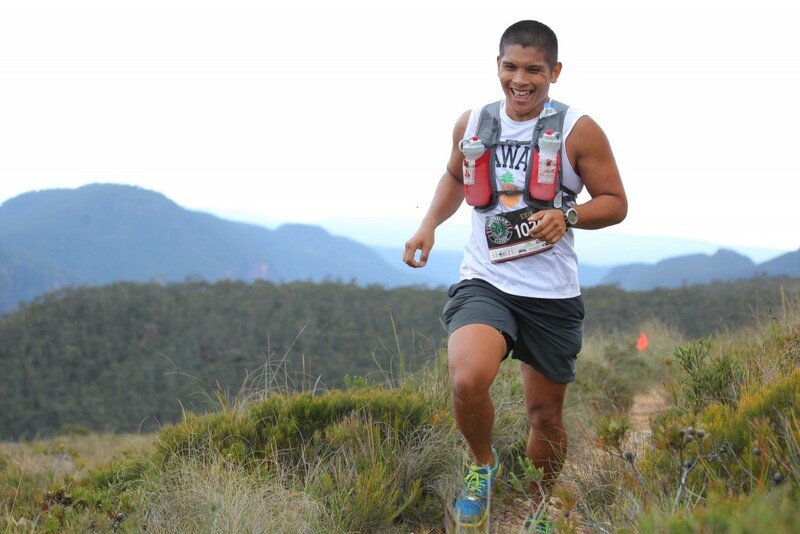 Combining movement and outdoors has lead him to complete several trail ultra-marathons, spend multiple days in wilderness areas and traversing mountain ranges in New Zealand. "Movement is medicine, so is nature. Double your dose, get outside and play"